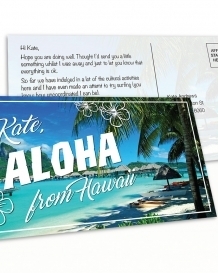 Postcards are one of the most versatile printed products on the market. 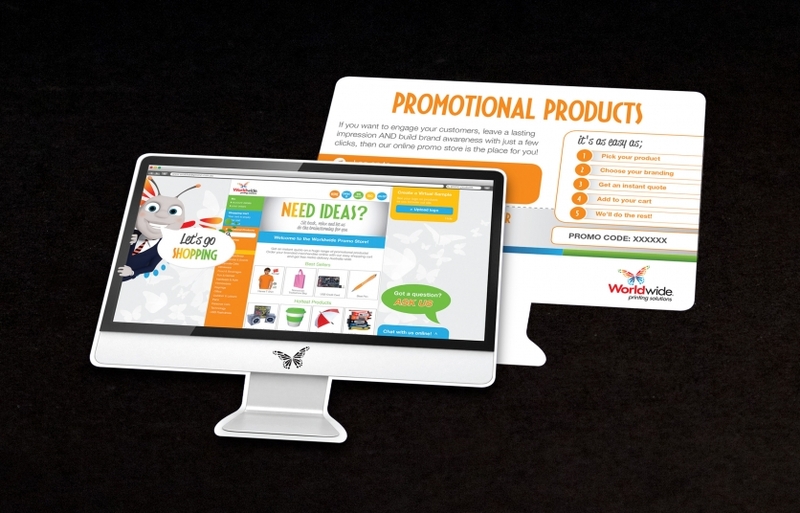 They can be used as mailers, coupons, or even handouts at events. 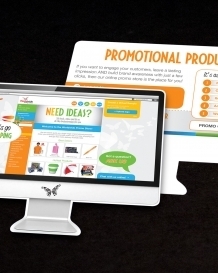 Not only are promotional postcards cost-effective, but they can also be creative. 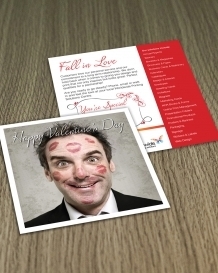 We are able to provide customers with quality postcard printing at Worldwide. You can use our postcards to attract interest to your products and services, or you can encourage a call to action on your website or social media pages. 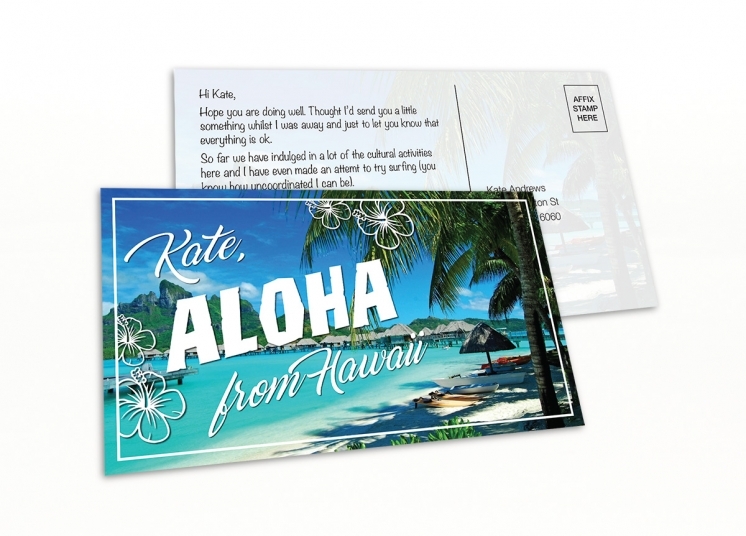 A postcard with a magnet glued to the back can end up on a refrigerator – an easy way to keep your message in front of your customer. Below are some examples of postcards we have previously provided for customers. 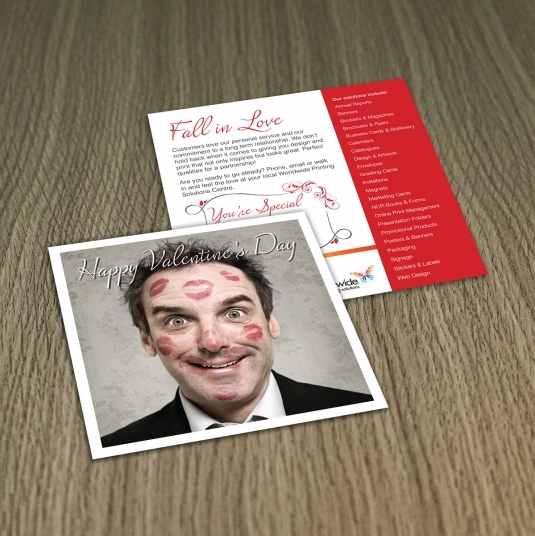 There are a number of finishing options you can use to make your postcard stand out. Why not give it that extra special look and feel with the following popular options. A UV Varnish is a liquid coating that is applied to the surface of a sheet which is then dried/cured under an ultra violet light. This has the effect of highlighting and drawing attention to parts of the design, but it also provides the additional visual stimulus of having varied textures on a single printed surface. MetalFX is a process of mixing metallic silver with a variety of process colours to give the desired effect. The process gives a metallic lustre to the printed image. Lamination adds a layer of protective coating either gloss or matt to the printed piece. Lamination improves the sturdiness of the piece as well as giving it a level of water resistance. 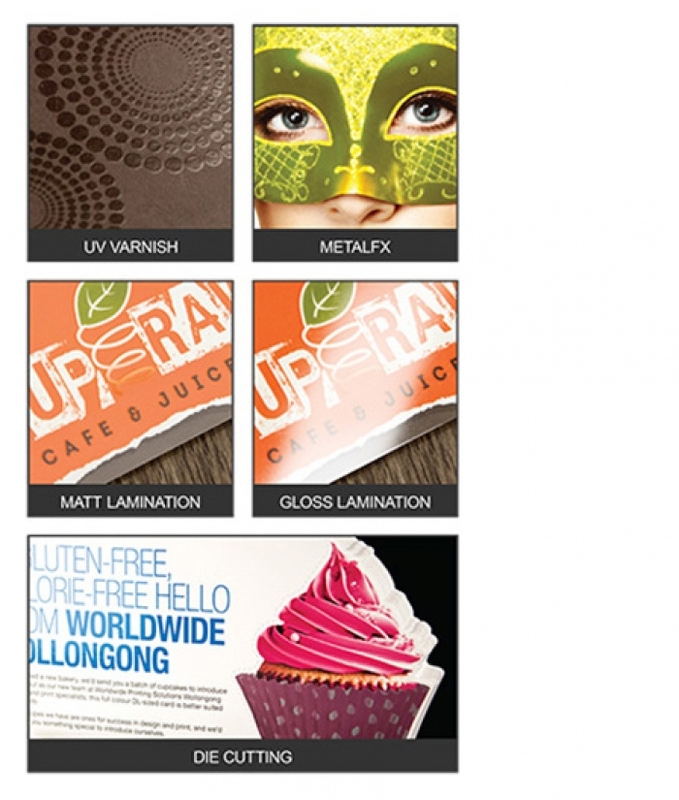 If a gloss laminate is applied to the printed surface, photos and images appear to have more shine and brightness. Matt laminated prints are more subdued but add an elegant finish to the printed surface. Die Cutting is a unique feature that can make your printed piece stand out. Die cutting is a process used to cut paper into a specific shapes using a steel cutting die. Die Cut shapes are endless and gives a printed piece a noticeable and eye-catching finish. 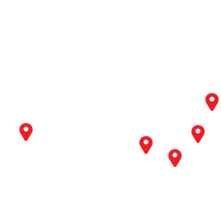 If you know what you are looking for, great! If you are not sure just fill out the form below to give us an idea and we will be in touch.